Ballandean Estate’s world-class Sylvaner is set to make a splash on the international stage yet again as this dry summer is delivering optimal growing conditions for a temperamental Strange Bird variety. This decadent dessert wine has had international wine judges raving since 1985, with 15 trophies, 7 gold, 22 silver and 54 bronze awards. The 1991 Ballandean Estate Sylvaner received global acclaim from Alsace wines world expert Tom Stevenson, who declared it “the greatest Sylvaner he had ever tasted”. This accolade was published in his international book The Wines of Alsace. Stevenson profiled over 300 producers and analysed 118 wine villages, 50 grands crus, 84 lieux-dits, 28 clos and 4 wine producing chateaux. Oz Clarkes Grapes and Wine: the definitive guide to the world’s greatest grapes decreed Ballandean Estate (Australia) as a world-best producer, ranked alongside France, Germany, Italy and Switzerland. Deliver thee the nectar of the Gods! The last Sylvaner vintage release was in 2014 and sold out quickly. Sadly, the only remaining bottles of Sylvaner in existence are carefully cellared in private homes and within Ballandean Estate’s museum collection. The good news? 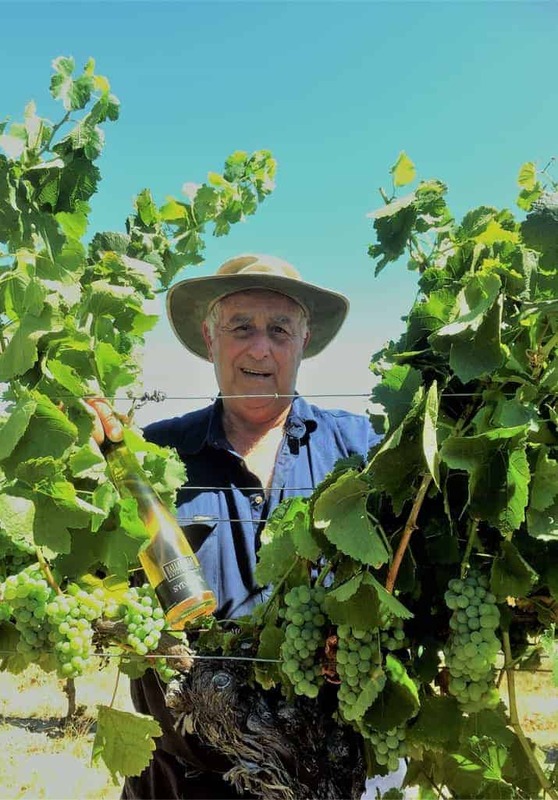 Ballandean Estate has decreed 2019 the best growing season in a decade. Ballandean Estate winemaker Dylan Rhymer says, “Sylvaner is a sensitive Strange Bird! We only make a Sylvaner in perfect years. It is easily damaged and very susceptible to rain. “Harvest is an incredibly delicate process, as we use the cordon cut method. Two weeks prior to picking, we cut half of the fruit-bearing canes. This allows the fruit to dry and concentrate in flavour. The other half that are still attached to the vine continue to grow as normal. These are picked very late in the season, as our aim is to get very high sugars. “The vineyard method makes the Sylvaner exceptionally hard to produce. Rain in particular can affect the grapes at those final stages prior to picking. “Inside the winery, the commitment to craft the best dessert wine continues. The Sylvaner juice is chilled to minus two degrees. This, creates water icicles which are removed to leave even more highly concentred flavour and sugar delivering a 40% loss of volume. James Halliday’s 2008 Wine Companion states that “.. the (Ballandean) estate specialty, Sylvaner Late Harvest, is a particularly interesting wine of great character and flavour if given 10 years bottle age”. “Our Sylvaner vintages wines are on the whole made to be drunk young, with crisp acid and slight spritz. But will still age gracefully with magnificent flavour,” says Rhymer. One of Australia’s leading wine scientists, Dr Bryce Rankin, in a 1973 discussion with Ballandean Estate owner Angelo Puglisi, suggested that Sylvaner and Chenin Blanc would grow well on the Granite Belt. Dr Rankin was principal research scientist at the Australian Wine Research Institute, which he helped establish, for over 20 years, and author of hundreds of scientific papers. That year estate owner Angelo Puglisi planted approximately 1.5 acres of Sylvaner on two blocks at Ballandean Estate. The first vintages from 1973 to to 1985 were made as a dry table wine style. In 1985 Angelo employed winemaker Rodney Hooper, whom with some other young winemakers, had become interested in the production of dessert wines. Controlled environment botrytis was experimented with but was not successful. So the cane cutting method was employed and had good results. The 1985 Sylvaner was born.